Activate only as Chain Link 4 or higher. Select 1 monster from either player's Graveyard and Special Summon it. 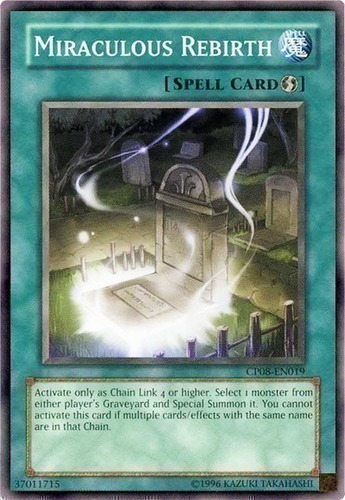 You cannot activate this card if multiple cards/effects with the same name are in that Chain.